Tesla is facing 3 critical tribulations and I a not even talking about its competition. If the CEO Elon Musk is able to face them and overcome them, then the near term prospect of the car-maker is brigh, but if Tesla can't tackle them I don't know how they will get out of this calamity. The good news is that Tesla Model 3 production may now be at 2,500 a week. Tesla's CEO Elon Musk has a tremendous and formidable task. He pushes the company to transform itself moving the electric cars from a niche market to mass market. Musk's tool is the Tesla Model 3. But the company has 3 big challenges that it needs to overcome. The sooner Musk overcomes and handles these 3 challenges, the better for Tesla. Let's analyze them one by one. 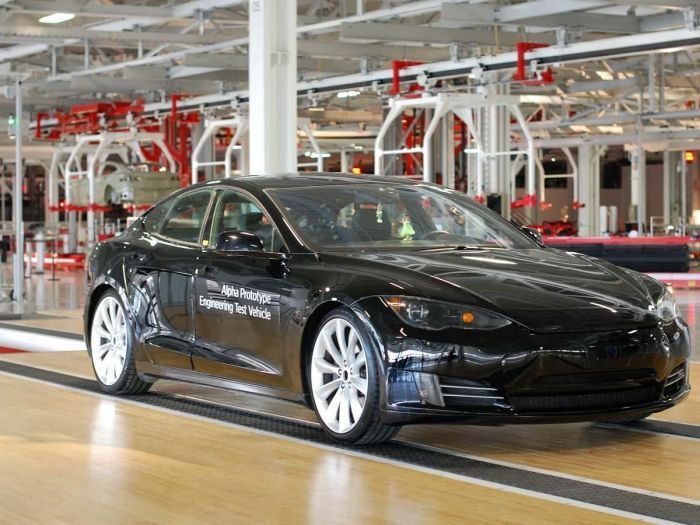 First, is that according to some reports Tesla is battling the United Auto Workers union at its Fremont, CA factory. Few days ago Automotive News reported that the labor relations are worsening between Tesla and the United Auto Workers. Things are apparently heating up in this regard at Tesla's Fremont factory. In fact, according to Evannex last year there were 500,000 applications for 2,500 Tesla jobs. This, clearly, talks about a high demand to work for Tesla. Unions are probably one of the last things Tesla wants to see. Instead, it needs highly motivated workers. Second issue the exodus of 3 top financial executives according to RT. I remember when Tesla unveiled the production of its mass-market Model 3 the CEO Musk said they will be going through "production hell" in order to meet the demand and delivery timeline. We see other executives also leaving companies and this may be typical for Silicon Valley companies. However, the leaving of these 3 top financial executives coincide with the mounting pressure to deliver Tesla Model 3s on time. Investors, obviously, like to see better performance and a good flow of Model 3 deliveries. The company stock TSLA has dropped from its September pick of 385 dollars to closing at 304.18 on March 26, 2018. The third critical calamity for Tesla is related to flawed parts.that are supplied for the Model 3. This is one of the main reasons Model 3 deliveries didn't meet the announced schedule. This is what prevents Tesla from producing Model 3 vehicles faster. According to recent CNBC report about 40% of Model 3 parts that go to assembly production are different from the original specification. Obviously, these can't be fixed in one day. They will slow down the production. Although, we should admit that now the production of Model 3 is picking up. Tesla Model 3 has found its audience even before the production and does well in sales. It just needs to at least double the production by June-July of 2018 to overcome the above mentioned problems at least partially. Confirmation may take some time until Tesla's first quarter earnings are released, but according to Bloomberg Tesla Model 3 production may now be at 2,500 a week.